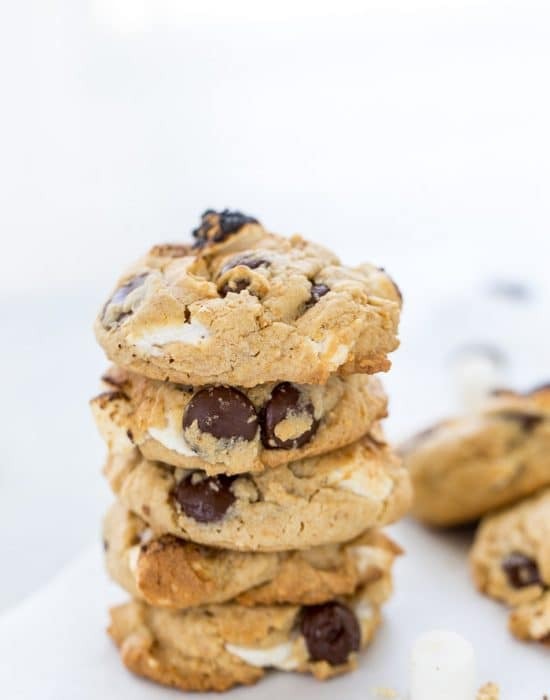 These butterscotch chocolate chip cookies are my favorite chocolate chip cookies because they are soft, gooey and melt-in-your mouth immediately out of the oven. Did you guys know this week is National Chocolate Chip week? (If you follow me on Facebook, you probably already know this). As a food blogger I am pretty bad at keeping track of these holidays. Like tomorrow is Pi day and I do NOT have a nerd-worthy pie for you guys 🙁 (so bummed!!). But thankfully, I was able to catch this one, thanks to Meriem over at Culinary Couture who decided to host a party in honor of America’s favorite cookie. 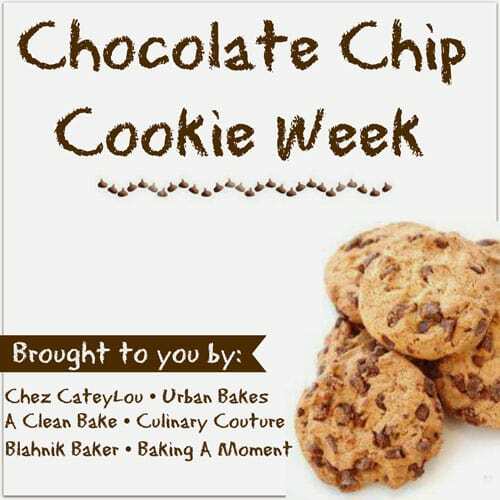 She invited a few of her blogging friends to share their favorite chocolate chip cookie recipes with their readers throughout the week. I brought my favorite butterscotch chocolate chip cookies to the party. 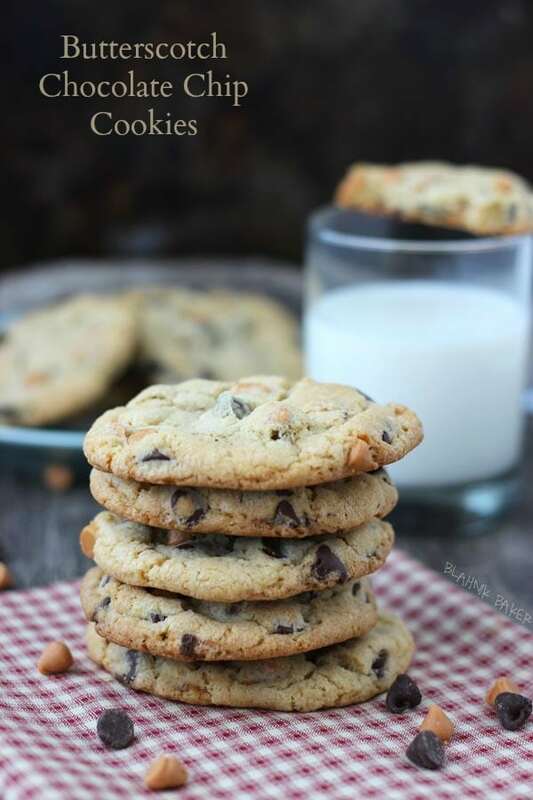 Ever since I received a version of these cookies from Latane in the a Bakin Friends exchange, they have been my go-to chocolate chip cookies. They are based off the famous NY Times chocolate chip cookie recipe you must have seen floating around the internet. I must say, they are worth the frenzy!! Made with cake flour and bread flour, these cookies are soft, gooey and absolutely melt in your mouth. Scoop large golf ball sized mounds of dough onto baking sheet. 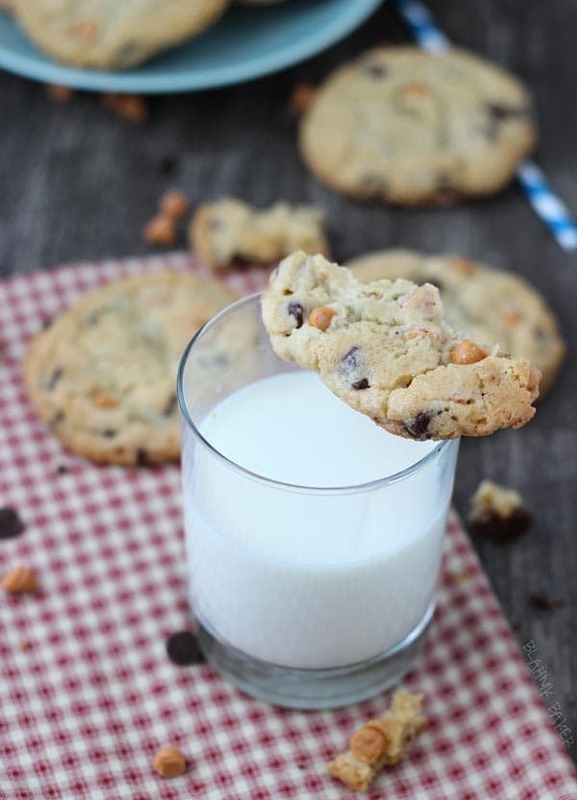 Add extra chocolate or butterscotch chips for a more attractive cookie. 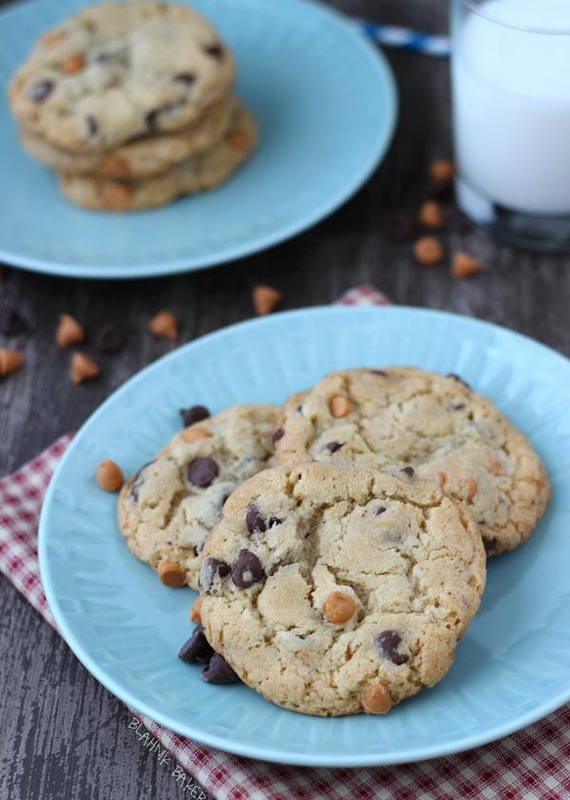 Here’s all the other chocolate chip cookie recipes from the party this week! Be sure to stop by each and every one of these blogs for the recipes. These look so seriously soft!! And I love that you used butterscotch – I can only imagine how delicious and gooey they are right out of the oven! I am so bad at remember the food holidays too! 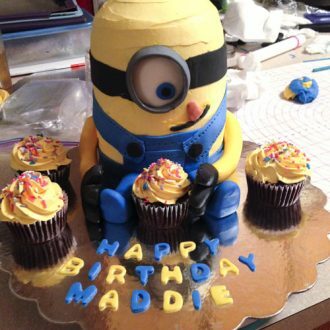 Luckily Connie reminded us about this one b/c it might be the best food holiday of the year! Pinned! These look so amazing! I love the combination of chocolate and butterscotch. Cookies cookies cookies. I am a total cookie monster and totally wish I could have one of these right now. YAYYYYYY!!!! CCC’s are the best thing evahhhhh and these really are AHMAZING! I knew you would approve! A little voice inside said, Kayle would love this. Makes me happy 🙂 you are my cookie queen! Hahhaaj, I doubt I’m a reliable source! I found out that taste spotting blog has a calendar they keep with all the food holidays. I’m gonna try to stay updated that way. Believe it or not, I discovered butterscotch for the first time just this past Fall and let me tell you… I love it. I still have just enough chips to make this which is perfect! Oh and don’t worry about the “pi” (I don’t have one either). What? I love butterscotch. Was the only candy as a child I would kill for. Wasn’t chocolate…still not chocolate. Ok glad you love it now!! You will never guess what I made last year for chococate chip cookie day? These! Obviously not the same recipe but the same flavors! I can not get enough butterscotch! They look fabulous! 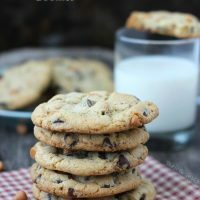 Adding more baking chips to basic chocolate chip cookie recipes is so fun! I haven’t baked with butterscotch in forever; I bet it tastes out of this world paired with the chocolate chips! Haha, I stink at holiday baking, even the obvious ones, like Christmas! So seriously, give yourself a pat on the back because you are so on top of it! It really tastes amazing on its own but paired with chocolate chips its wonderful!! Try it soon Mary Frances, I know you will love it!! Are these the same cookies you sent to me after my operation? If so I can vouch for them- they are PHENOMENAL! 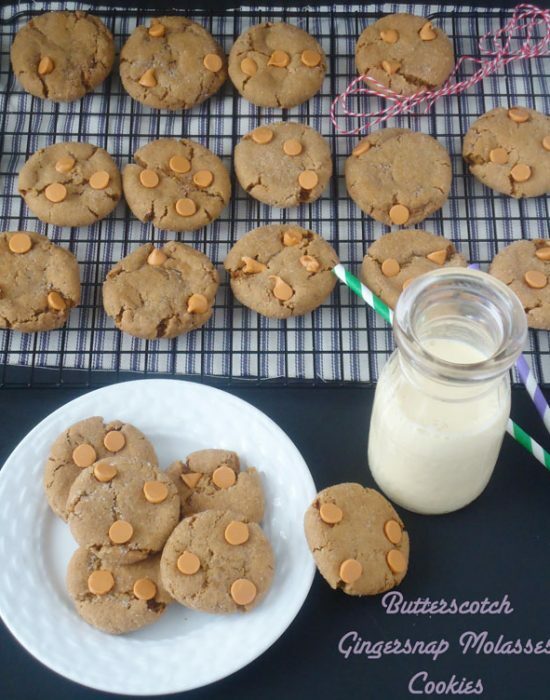 Love the butterscotch flavor in these, so so delish! 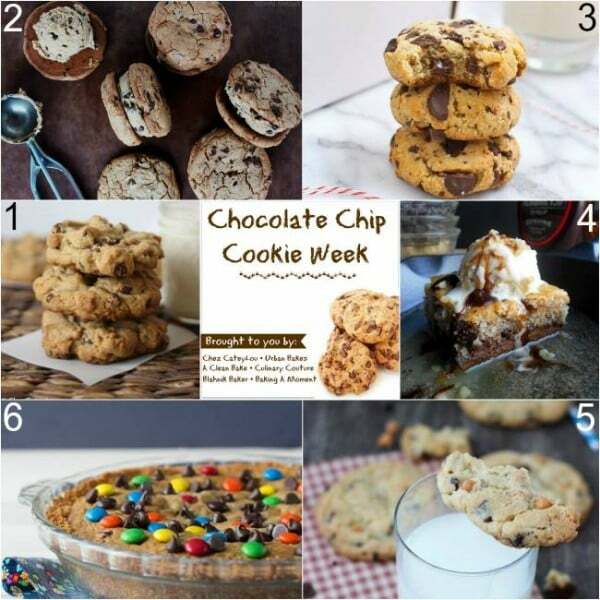 Great recipe Zainab, and it’s been so fun celebrating National Chocolate Chip Cookie Week with you! Yes Allie, these were the cookies I sent you last year. I make them all the time but just never posted them on the blog. Thanks for vouching for them!! This week has been full with nothing but deliciousness!! You definitely nailed it with these. 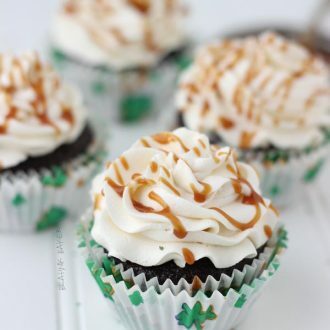 They look like the perfect texture, and the addition of butterscotch really sets them apart! Loveee your cookies! I need you to send me a pack of butterscotch chips… I’ve never tasted them before :(. The fact that the dough has to chill for 24 hours mean some GOOD cookies!! That’s not crazy at all Ally!! I know for sure I love it more than chocolate chips lol! These look amazing! Thanks so much for participating on such short notice! Butterscotch chips just don’t get the time in the lime light like they deserve. So glad to see you featuring them. You have been nailing it in the kitchen lately! I can’t wait for my kitchen remodel to begin/be over with so I can dust off my apron and do more kitchen experimenting! Thanks Jamie!! I love butterscotch chips and always always have them on hand. I need to use them more than just snack on them lol! I can’t wait to see your remodeled kitchen!! I definitely have a 5-pound bag of butterscotch chips in my pantry just waiting for this recipe. Don’t ask why. Thanks for sharing! These look so good! I wish I was having some right now! Yum. Thanks for sharing!! So many cookies – I love it! Butterscotch is such a great flavor too. I love mixing and matching my chips in chocolate chip cookies. My favorite is doing white, peanut butter and semisweet all in one! Yum, these look like my kind of cookie! Never tried butterscotch chips before, I bet they taste rather yummy. I would eat so many of these cookies. I just love butterscotch, especially with chocolate! Definitely a good combination to put in a cookie! Plus that glass of milk. Yum! These cookies look delicious. Thanks for sharing the recipe. Visiting from SITS. Have a great weekend. Stopping by from SITS Sharefest! My mouth is watering looking at these cookies! I love butterscotch but never really bake with it. I will definitely be trying these! Yum! 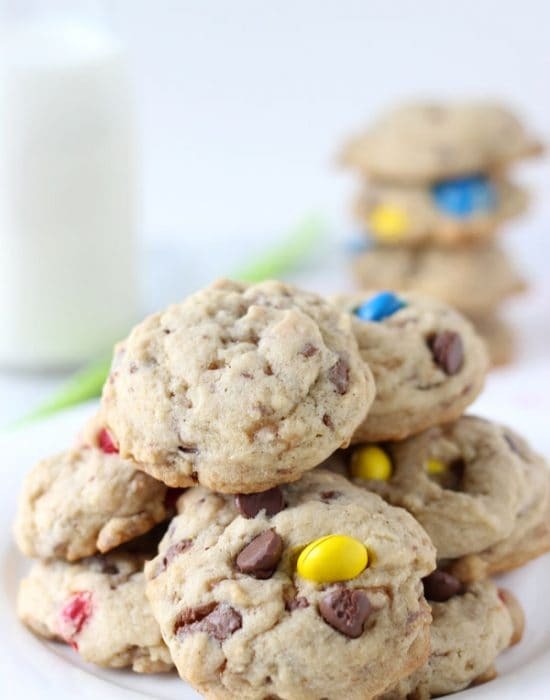 I make chocolate chip cookies all the time, but these would be a fun twist! Stopping by from the SITS Sharefest! Now that is a cookie girl! An amazing cookie at that! I’m craving a few at the moment…! That beautiful stack of cookies looks SO GOOD! 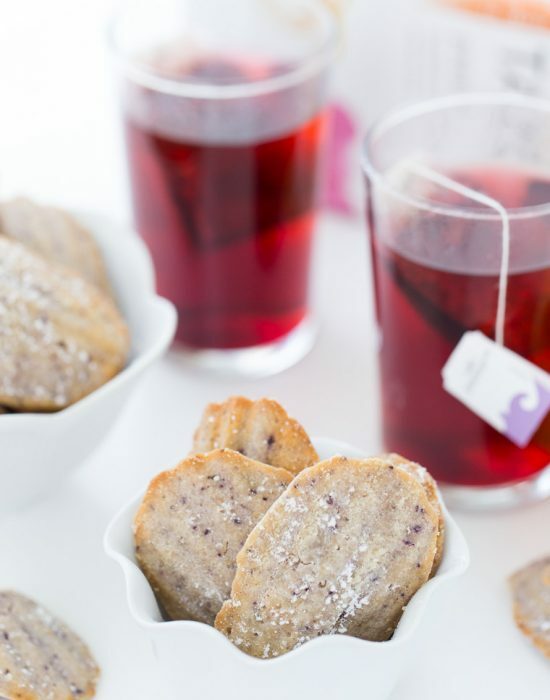 Indeed, this is one of the best CC Cookie recipes, ever! Oh, I have a weakness for butterscotch and chocolate together. I will make a batch of these and hide them from the hubs because he will eat all of them. Can’t wait! Pinned! These cookies are so incredible. I love that you used butterscotch.